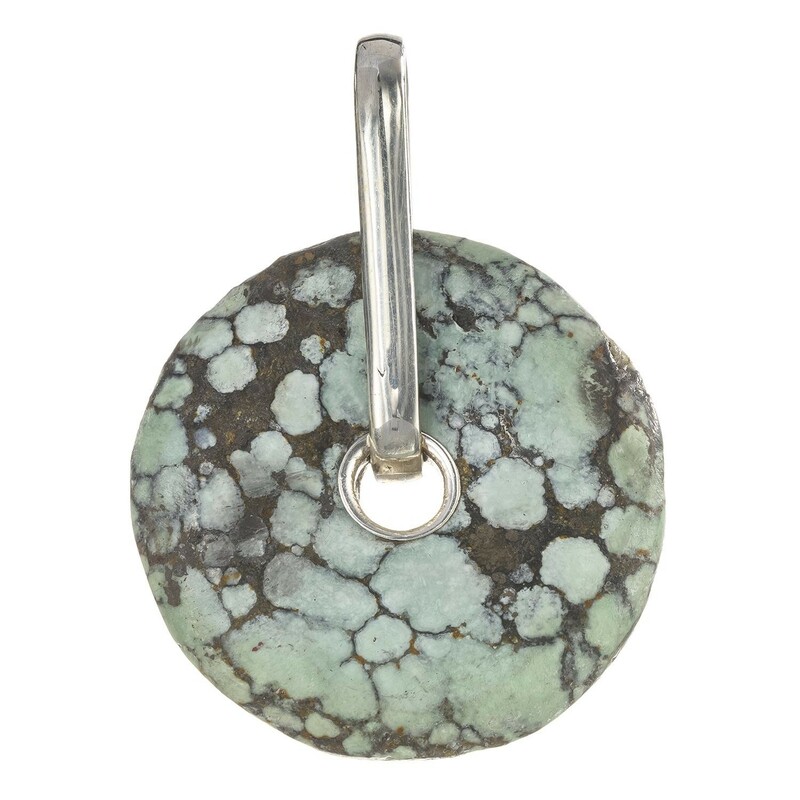 Turquoise jewelry as an ambrosial pendant encircled in a solid silver loop - Circular Turquoise Wheel Pendant is from the handmade pendants jewelry collection. Pendant jewelry gives you the much needed solitary appearance without any hassles. Buy Balinese jewelry in its true essence with t... Read more. Turquoise jewelry as an ambrosial pendant encircled in a solid silver loop - Circular Turquoise Wheel Pendant is from the handmade pendants jewelry collection. Pendant jewelry gives you the much needed solitary appearance without any hassles. Buy Balinese jewelry in its true essence with this remarkable textured pendant necklace.